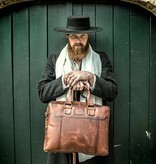 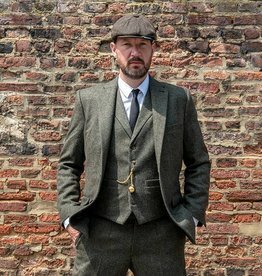 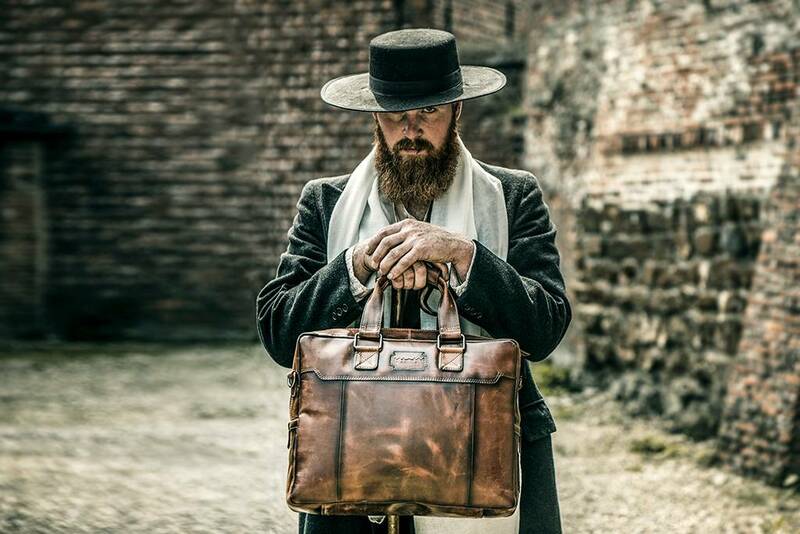 Alfie Solomons is undoubtedly one of our favourite characters in Peaky Blinders! 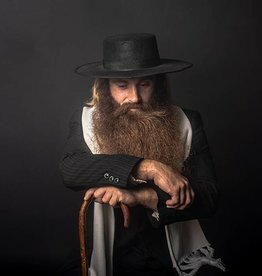 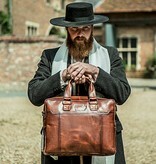 Magnificently portrayed by the great Tom Hardy, this Jewish gang leader is a violent, manipulative but oh such a charismatic character. 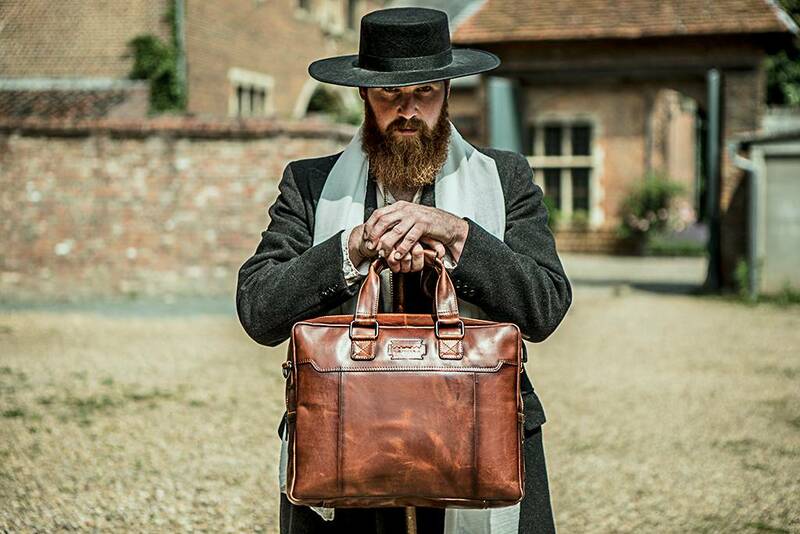 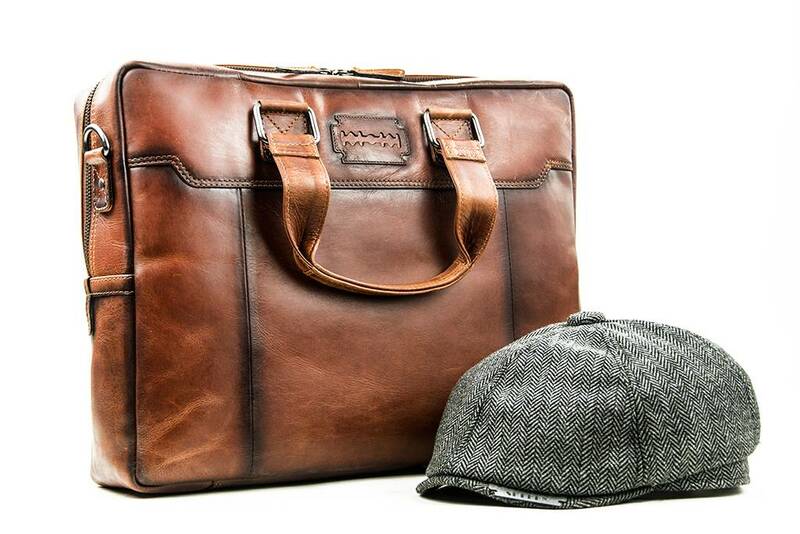 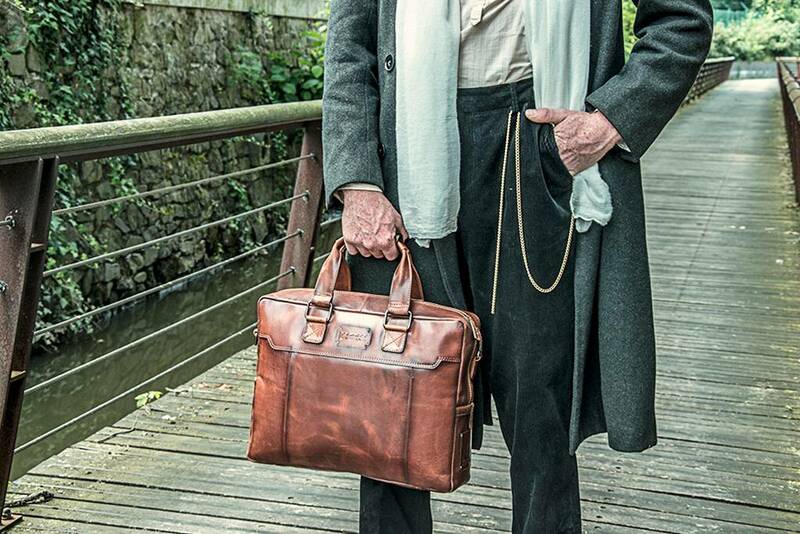 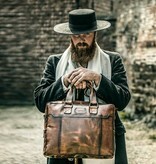 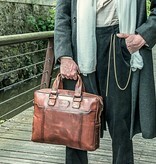 Shelby Brothers honour this master of conspiracies with his own vintage style briefcase made with of cognac-coloured leather of superior quality. 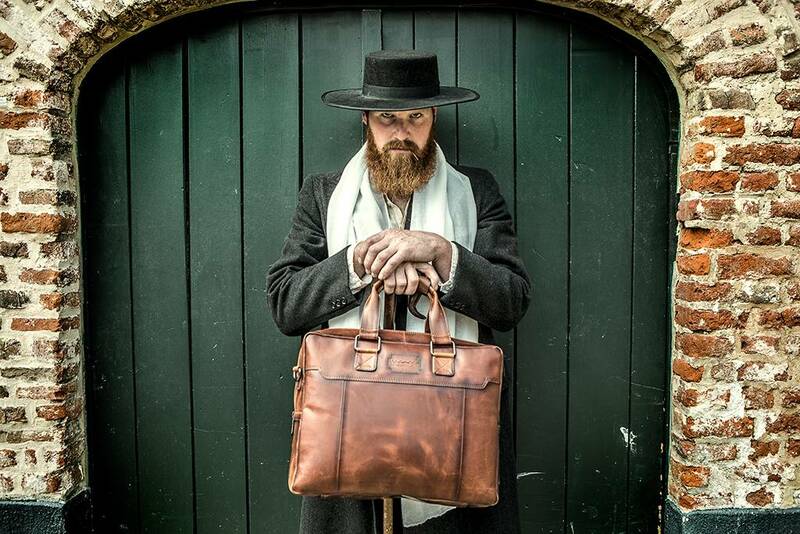 A genuine and original product of Dutch origin with a generous dash of Brummie swagger. 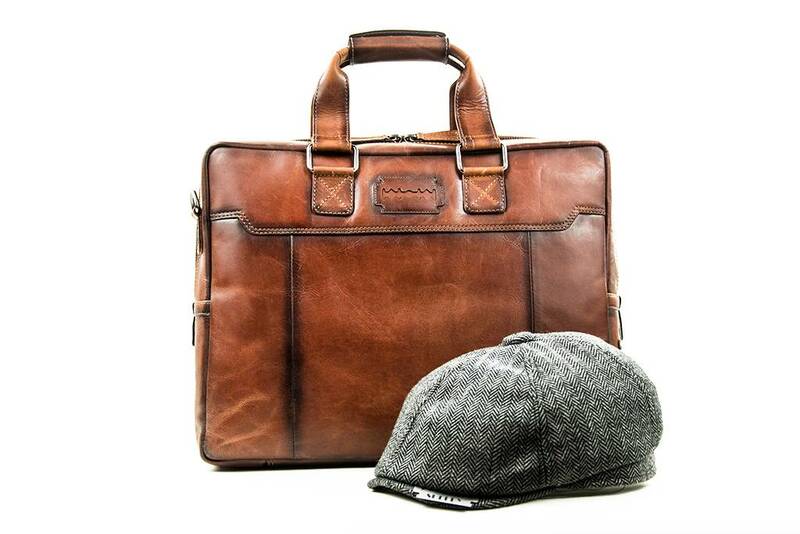 Italian Leather Briefcase Alfie is your perfect stylish companion at work or college. 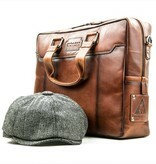 This bag has a spacious main compartment with a padded laptop compartment and several smaller organizer pockets. 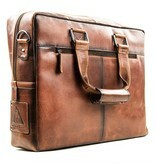 You can easily store any smaller valuables in the zippered pockets on the front and back. 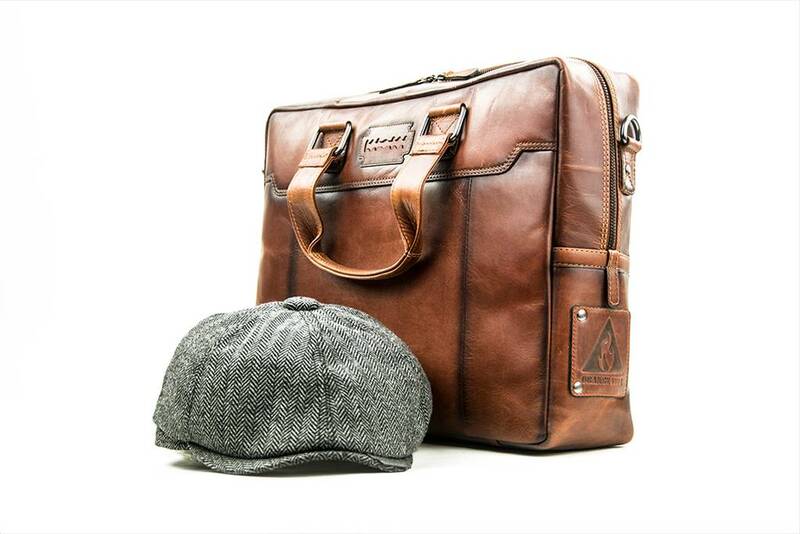 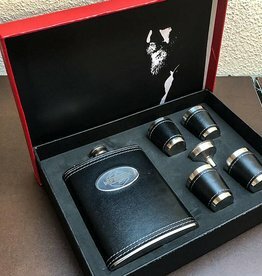 Alfie is made of Italian leather with an antique airbrush finish to give it a unique and cool vintage look and comes with a separate, adjustable shoulder strap. 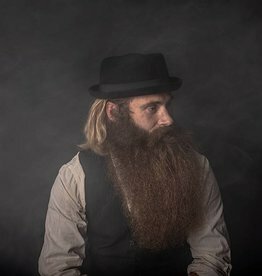 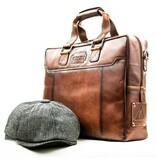 When ordering Alfie, you will also receive an exclusive tweed cap with signature Shelby razor blade. 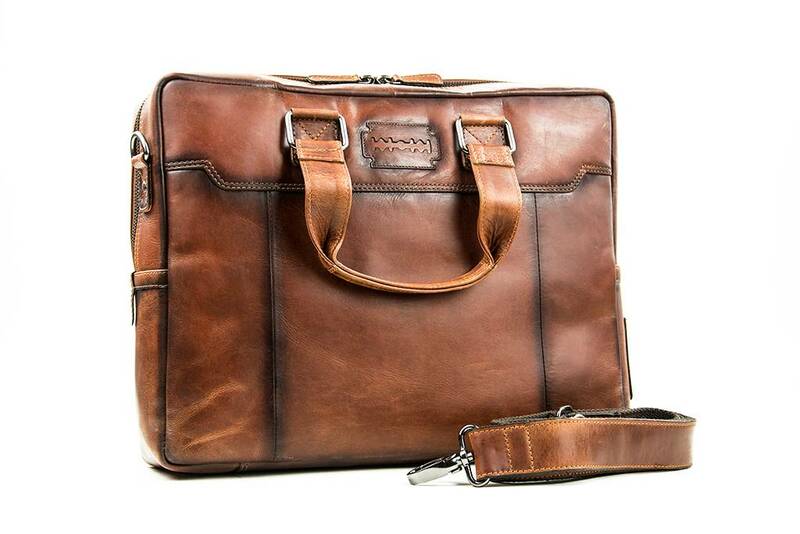 Main compartment, padded laptop compartment, phone pocket, organiser pockets, pen holders, zippered pocket, front pocket with zipper, zippered pocket on the back. 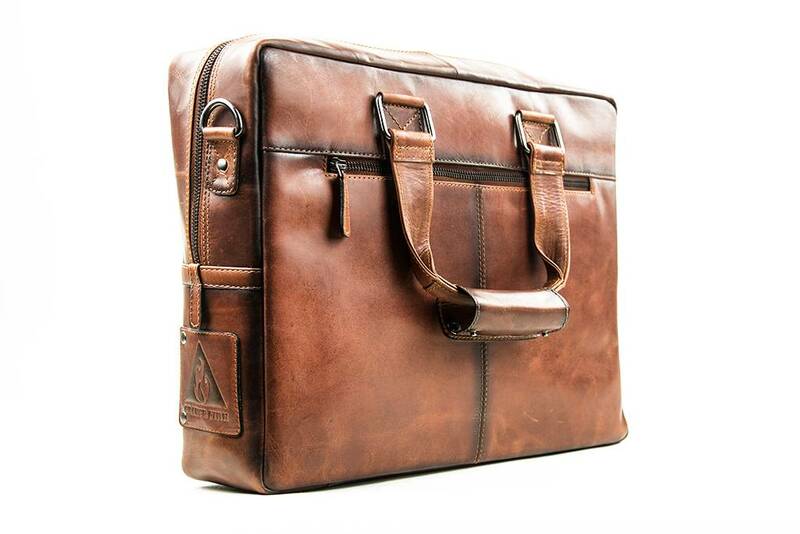 Suitable for 15,6-inch laptop or MacBook. 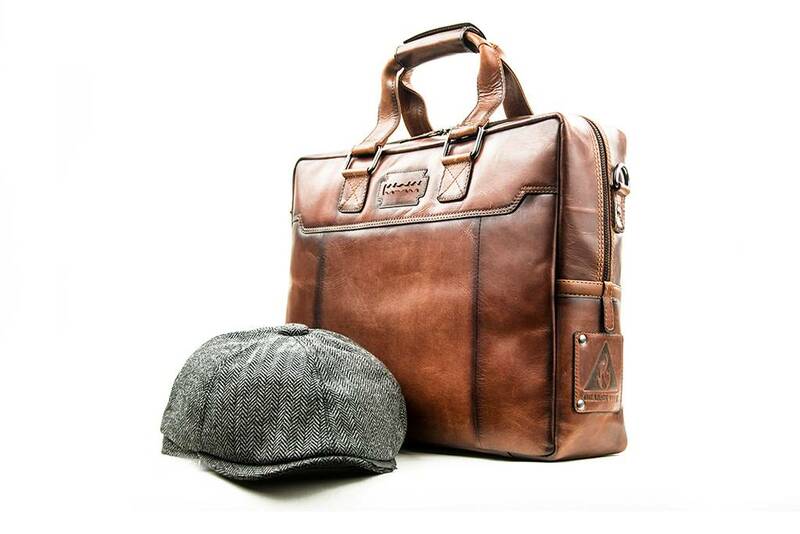 Dutch Design and hand-made in the Netherlands. 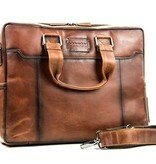 Detachable and adjustable shoulder strap, sturdy handle. 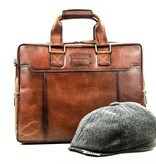 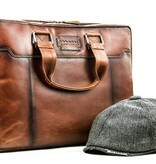 Tweed cap with signature Shelby razor blade included.